We are proud of what we’ve accomplished with your support thus far! Help us continue to bring quality healthcare to families in need. 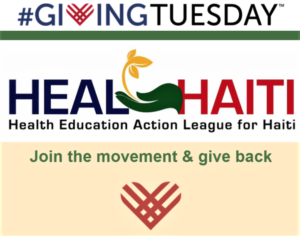 HEAL Haiti trains hundreds of students to provide health screenings to thousands of people through our clinics. In May 2019, we will host our 7th annual health clinic in Artibonite, Haiti. We serve over 1,000 patients and train over 100 high school, nursing, pharmacy and doctoral students every year! Haiti has a severe shortage of nurses and health workers. Many children are victims of malnutrition, chronic disease, inadequate medical care and premature death. With the help of generous people like you, HEAL Haiti’s health clinics have provided medical relief for more than 7,500 people since 2012.